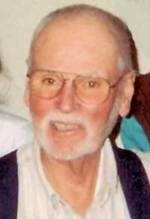 Francis R. Swift, Jr., 80, of East Greenwich, went to be with the Lord on Monday, January 2, 2012 at Kent Hospital. He was the husband of Margery F. (Wyks) Swift, to whom he had been married for 56 years. Francis, or “Swifty” as he was known to both family and friends, was born in South Kingstown, RI to Francis R. Swift, Sr. and Dorothy E. (Northup) Swift. Following his 7 year term of service in the U.S. Air Force during the Korean War, trained as a Fighter Pilot, Swifty obtained his B.S. in Civil Engineering at the University of Rhode Island in 1961 and his P.E. License shortly afterward. He began his career with the State of RI as a Bridge Engineer, where he worked until his retirement in 1986. He was a member of Quidnessett Baptist Church for many years. Swifty was an avid gardener throughout most of his life, taking particular pride in the tomatoes that he grew. He half-reluctantly kept a “lazy eye” on the Boston Red Sox, but the Rhody Rams Basketball team was a primary source of interest. Besides his wife, he is survived by his children, Gregory R. Swift and his wife Claire of Exeter, Alison M. Swift of East Greenwich, and Grant E. Swift of North Kingstown. Cherished grandfather of Shawna A. Swift of Cranston and Olivia H. Swift of Exeter. He was the brother of William R. Swift and his wife Margaret of Warwick. His graveside service and burial with Military Honors will be held on Monday, January 9, 2012 in Quidnessett Memorial Cemetery, 6365 Post Road, North Kingstown, to which relatives and friends are invited. Calling hours will be held on Friday, January 6th from 4:00 to 7:00 pm in THE CRANSTON-MURPHY FUNERAL HOME of WICKFORD, 140 West Main Street, Wickford Village, North Kingstown. In lieu of flowers, gifts in his memory to Quidnessett Baptist Church, 6356 Post Road, North Kingstown, RI 02852 will be appreciated.